"Displacement is becoming a larger issue in knowledge hubs and superstar cities." Back in 2014, Spike Lee famously expressed his disdain for the forces of gentrification in New York: “Why does it take an influx of white New Yorkers in the south Bronx, in Harlem, in Bed Stuy, in Crown Heights for the facilities to get better?” he argued. “What about the people who are renting? They can’t afford it anymore!” Lee’s criticisms reflect a now-familiar narrative in cities all over the U.S.: As wealthier residents flow back into once-low-income, often minority neighborhoods, longtime residents can be priced out. But exactly how does this dynamic play out, and is displacement inevitable? A new comprehensive review of what we know about gentrification sheds much-needed light on this heated issue. The review, by researchers at the University of California Berkeley and UCLA and published by the Federal Reserve of San Francisco, takes a close look at studies of gentrification and displacement conducted over the past several decades. (I wrote about the review’s insights on how public investment shapes gentrification last week). It helps us better understand several questions related to gentrification and displacement: Just how extensive is displacement, exactly what kinds of people are displaced, and how do people and groups fare after they leave gentrifying neighborhoods? The earliest studies of displacement conducted in the 1980s generated widely varying estimates of how many people are displaced by gentrification. A 1982 study found that roughly 1 percent of all Americans, 5 percent of families, and 8.5 percent of urban families were displaced from their homes between 1970 and 1977 by either eviction, public action, sale or reoccupation, or the changing state of their neighborhood. A 1983 study of five cities (Boston, Cincinnati, Richmond, Seattle, and Denver) found that nearly a quarter (23 percent) of residents in these urban neighborhoods were displaced due to eviction, increased rent, or the fact that the house they were renting was sold between 1978 and 1980. Similarly, a 2001 study of gentrifying areas of Boston by Jacob Vigdor found evidence of heightened housing turnover in gentrifying neighborhoods. Perhaps the foremost student of gentrification and displacement is Lance Freeman of Columbia University. His 2004 study with Frank Braconi found that poor households in gentrifying neighborhoods of New York City were less likely to move than poor households in non-gentrifying neighborhoods. This of course may have to do with the fact that there are fewer poor households in gentrifying neighborhoods to begin with. Still, the authors concluded that “a neighborhood could go from a 30% poverty population to 12% in as few as 10 years without any displacement whatsoever.” In a subsequent 2005 study, Freeman found that the probability that a household would be displaced in a gentrifying neighborhood was a mere 1.3 percent. A follow-up 2007 study, again with Braconi, examined apartment turnover in New York City neighborhoods and found that the probability of displacement declined as the rate of rent inflation increased in a neighborhood. Disadvantaged households in gentrifying neighborhoods were actually 15 percent less likely to move than those in non-gentrifying households. And, in a 2009 study, Freeman found that gentrifying neighborhoods are becoming more racially diverse by tracking neighborhood change from 1970 to 2000 (although he does note that cities overall are becoming more diverse as well). Freeman also discovered that changes in educational diversity were the same for both gentrifying and non-gentrifying areas. Ultimately, while some residents were displaced from 1970 to 2000, gentrifying neighborhoods were generally more diverse when it came to income, race, and education as opposed to non-gentrifying neighborhoods. Counterintuitively, several studies have even found that gentrification can in some cases reduce displacement. Neighborhood improvements like bars, restaurants, waterfronts, or extended transit can and sometimes do encourage less advantaged households to stay put in the face of gentrification. A 2006 study found that displacement accounted for only 6 to 10 percent of all moves in New York City due to housing expenses, landlord harassment, or displacement by private action (e.g. condo conversion) between 1989 and 2002. A 2011 study concluded that neighborhood income gains did not significantly predict household exit rates. What did predict out-migration was age, minority status, selective entry and exit, and renting as opposed to buying. A 2010 study on “Who Gentrifies Low-Income Neighborhoods” found that the impact of gentrification on black residents varies based on level of education. By examining around 15,000 census tracts in 64 metros from 1990 to 2000, the authors found that gentrification tends to benefit highly educated black households. In fact, one-third of the increase in income among gentrifying neighborhoods during this period came from the progress of this specific demographic. This in turn causes gentrifying neighborhoods to be more attractive to middle-class black households. But gentrification can also have a negative effect on less educated black households, by pushing those who did not complete high school out of gentrifying neighborhoods. A 2013 Cleveland Fed study found that extensive gentrification is the province of a limited group of large superstar cities and knowledge hubs like New York, San Francisco, Seattle, Boston, and Washington D.C. In three-quarters of America’s 55 largest cities, less than 10 percent of all neighborhoods experienced gentrification from 2000 to 2007, and gentrification affected 5 percent or less of a total of 22 neighborhoods. Not surprisingly, these cities are the ones being hit hardest by displacement. And with real estate prices in these cities surging toward all-time highs, there is reason to believe that displacement may worsen over time. Of course, an even bigger issue is the neighborhoods that are untouched by gentrification and where concentrated poverty persists and deepens. A 2014 study found that for every gentrified neighborhood across 51 U.S. metro areas, 10 others remained poor and 12 formerly stable neighborhoods fell into concentrated disadvantage. A Harvard study of Chicago found that the gentrification process continues for neighborhoods with over 35 percent of white residents, and either slows or stops if the neighborhood is 40 percent black. The reality is that the displaced are getting pushed out of working-class neighborhoods that are “good enough” to attract people and investment, while the poorest and most vulnerable neighborhoods remain mired in persistent poverty and concentrated disadvantage. 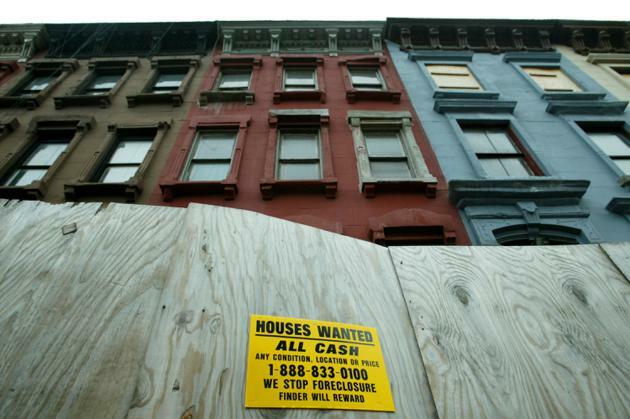 Gentrification and displacement, then, are symptoms of the scarcity of quality urbanism. The driving force behind both is the far larger process of spiky reurbanization—itself propelled by large-scale public and private investment in everything from transit, schools, and parks to private research institutions and housing redevelopment. All of which points to the biggest, most crucial task ahead: creating more inclusive cities and neighborhoods that can meet the needs of all urbanites.